People who became ill during the influenza epidemic of 1918 often developed a fatal pneumonia, their lips and fingertips turning blue as the lung infection made it difficult for them to breathe. William C. Stadie (1886-1959) proved that this cyanosis was due to a lack of oxygen in the blood. He designed and built a chamber in which the oxygen content could be maintained at levels as high as three times that in air. Normal color soon returned to the skin of severely ill patients who spent days in the chamber, and many recovered. By monitoring the oxygenation of the patients' blood while they stayed in the controlled atmosphere of the chamber, Stadie put oxygen therapy on a rational basis. Cyanosis can have several causes. To find out whether the lungs of pneumonia patients were delivering enough oxygen to the blood, Stadie needed to draw blood from their arteries. But physicians at the time considered puncturing an artery to be a dangerous procedure. Stadie established a technique for doing this safely. Then, testing the blood of 33 pneumonia patients with cyanosis, he found that the oxygenation of the hemoglobin in their blood ranged from 60 percent to 90 percent, compared with 95 percent in healthy people. The technique of analyzing blood gases had only recently been developed at the Rockefeller Hospital by Donald D. Van Slyke. A chamber in which the oxygen content could be maintained at levels as high as three times that in air. Stadie also had to overcome doubts about the effectiveness of administering oxygen. Earlier efforts to give oxygen through a funnel held over the face had not worked. Stadie established the efficacy of long-term, continuous administration of oxygen under controlled conditions. Although this therapy did not change the fundamental course of the infection, by preventing death from poor oxygenation during the active infection and recovery phase, more patients were likely to survive. 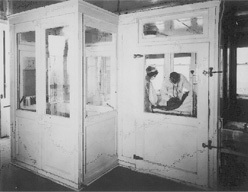 Stadie's oxygen chamber provided the basis for modern oxygen therapy. William C. Stadie received the BS in 1907 from New York University and the MD in 1916 from Columbia University College of Physicians and Surgeons. He was appointed resident physician at the Rockefeller Hospital in 1918. He moved to Yale in 1921 and to the University of Pennsylvania in 1924. His later research focused on problems in diabetes such as carbohydrate metabolism and hyperketonemia. 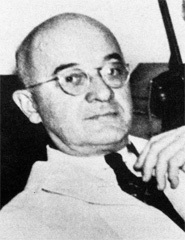 Stadie's accomplishments were acknowledged with the Phillips Medal of the American College of Physicians (1941), the Kober Medal of the Association of American Physicians (1955) and the Banting Medal of the American Diabetes Association (1956), and an honorary degree from the University of Pennsylvania (1959). He was elected to the U.S. National Academy of Sciences, and he served as editor-in-chief of the journal Diabetes.